Decorating for kids need to be fun and it should make the kids feel happy just look at the design. 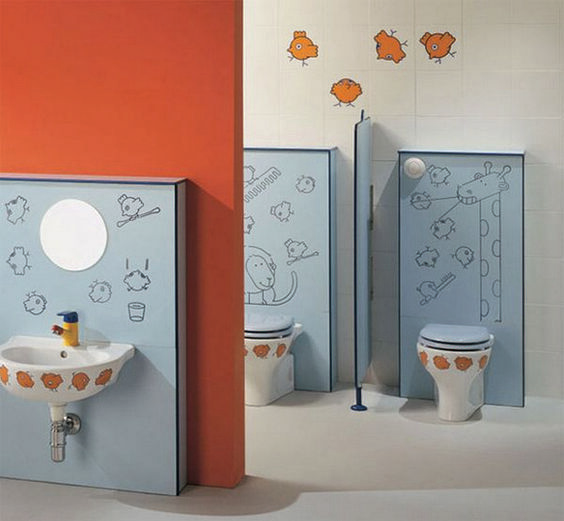 Decorating toilet for kids can be as fun as decorating bedroom for kids. 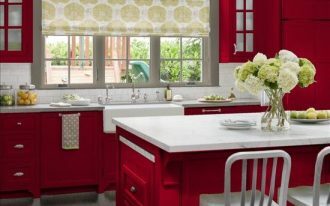 As kids usually love color, putting bold colorful color can make kids feel happy. 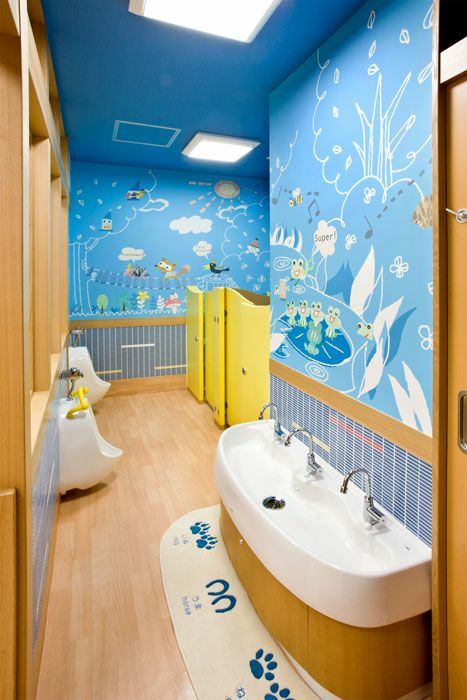 And these ten cheerful kids public toilet will give you the inspirations you need. This one here shows a soft colored bathroom with bold blue door with picture. 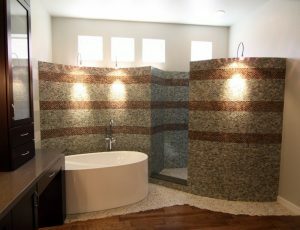 To make the room more cheerful, the backsplash is a tiny tiles with LED lights behind the round mirror. 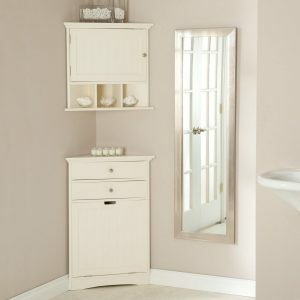 Completed with wooden vanity with white top, this bathroom shows a quite simple yet beautiful vibe. This one here shows a fun and interesting small floating vanity with statement backsplash with the same color. This arrangement looks cheerful and fun. You can try with another color, probably rainbow colors. This one here has a usual low partition for kids. 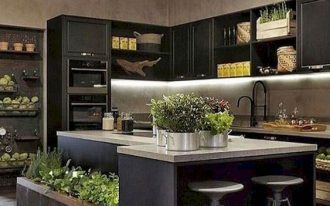 It is decorated with art decoration in the wall with black board and white chalk painting. 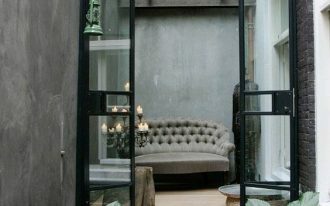 This one, although has quite neutral look in the tiles and partition, has a childish touch on the wall. Children art painting decoration here channels the children vibe. This one here shows an interesting arrangement in tiles both on the wall and floor. The interesting part of this bathroom is the three-level vanity in white. 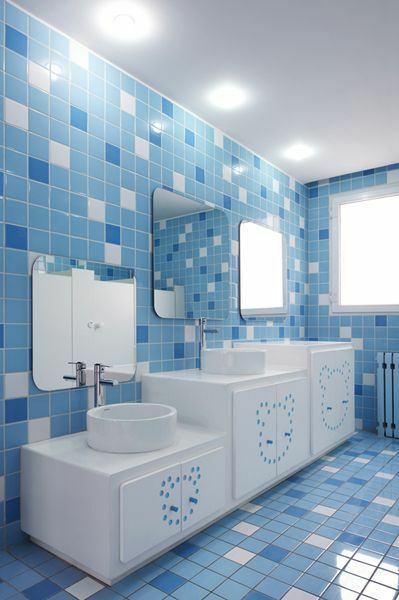 The white vanity is painted with adorable blue bear painting. This one here does not put too many colors. It shows quite natural and neutral look overall but the detail on the toilet cover is so adorable that the kids will love it very much. 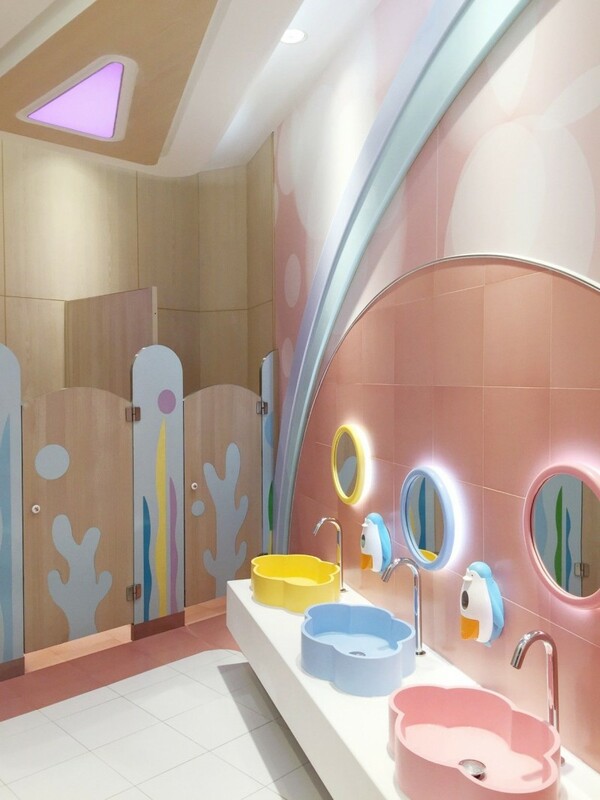 If you want to color the toilet in neutral and pinkish color, this one here can give some inspirations on how to make a cheerful and pinkish toilet that does not feel to feminine. 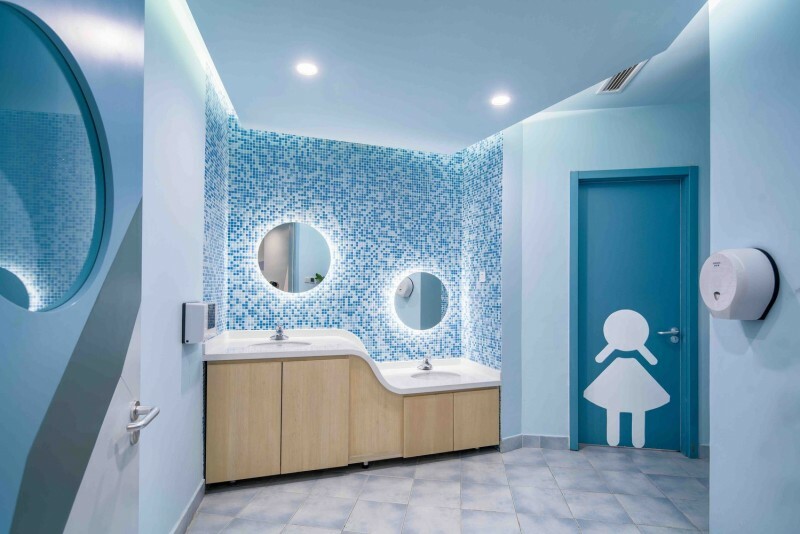 The yellow, blue, and pink cloud-shaped sink are adorable and pretty with matching round mirror on the wall. The details on the drawing on the door and accent on the wall complements each other. 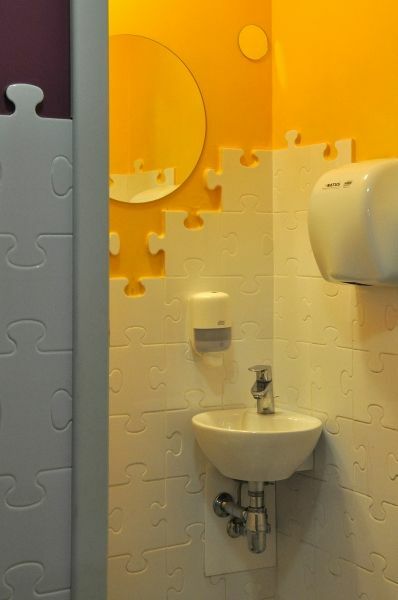 Installing unique tiles like this one can also bring in cheerful and fun look. The simple arrangement of white tiles and orange wall, although simple, still looks fun for kids. 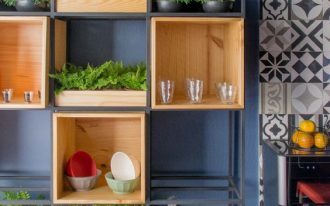 If you love something neutral but still want to make children pictures on the bathroom, this one here can give you options to give pictures not only on the wall, but also on the cabinet behind the toilet and sink. Decorating kids bathroom with doll or kids character statues can make an interesting decoration in the bathroom. 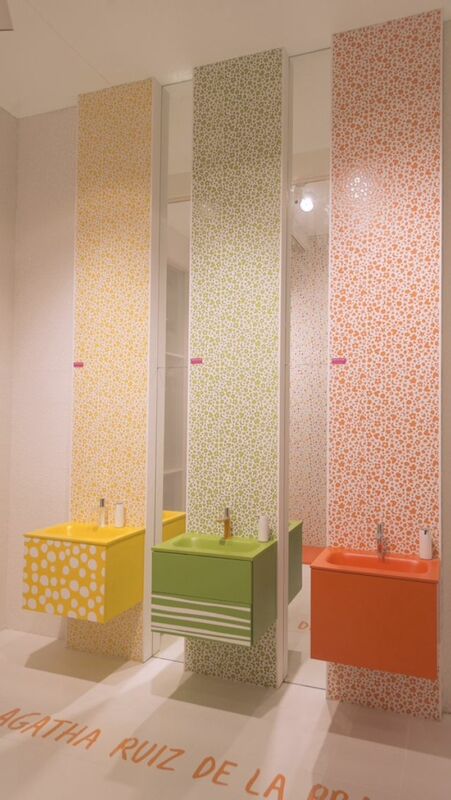 This will make the bathroom look cheerful and fun that kids will be happy to see it.